A couple of months ago you might remember Brooke bought a slow cooker? When Brooke said she wanted one, she said she would use it all the time and it wouldn’t just become another kitchen appliance. I was sold a story that she would use it all the time to make things like casseroles, soups and slow cooked meats. So far I have only seen Pulled Pork Tacos. However on this lazy weekend, the meat gods answered my prayers and Brooke finally made ribs for me! Asian BBQ Pork Ribs! Again I think I was more impressed how easy slow cookers are to use. 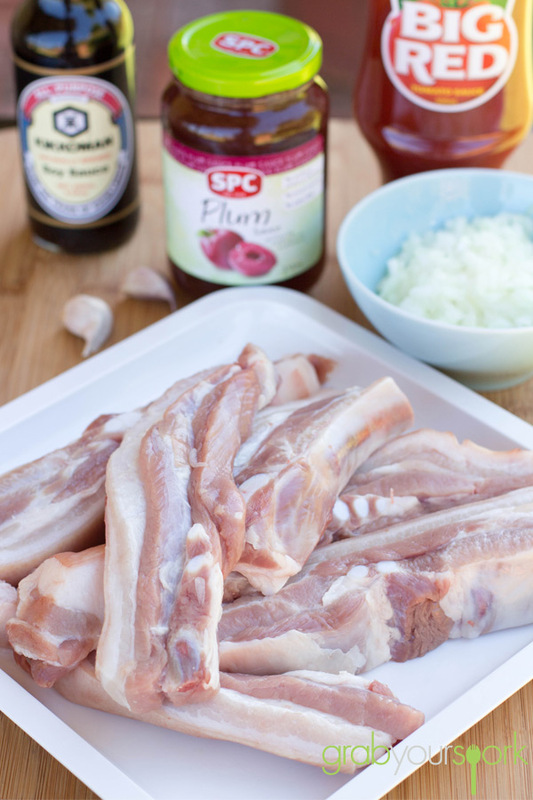 To make this recipe you simply combine all the ingredients (apart from the ribs) together to make a sauce. 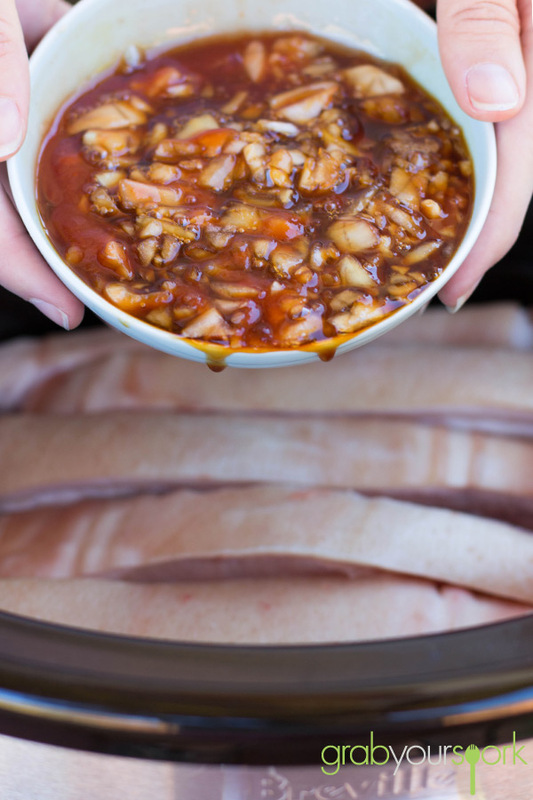 Then you simply place the ribs meat side up in the slow cooker and pour the sauce over the pork spare ribs. From here leave the ribs to cook for 6 – 8 hours on a low heat and voila! 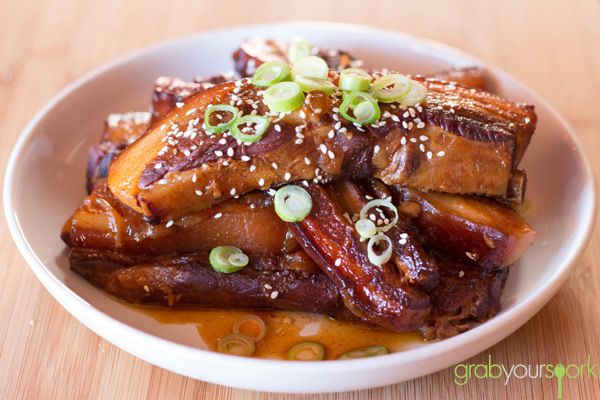 Asian BBQ Pork Ribs! Now the ribs we used were pork spare ribs and they had quite a lot of fat on them. Don’t worry though. 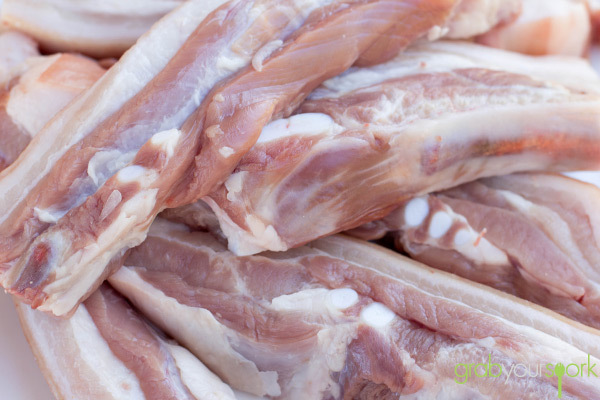 Not only will the fat add to the flavour, when the pork cooks the fat will drip down making the pork meat extremely tender. It is also really easy to pull apart from the meat when you’re eating them. To serve remove the ribs from the slow cooker and dress with some fresh spring onion and sesame seeds. 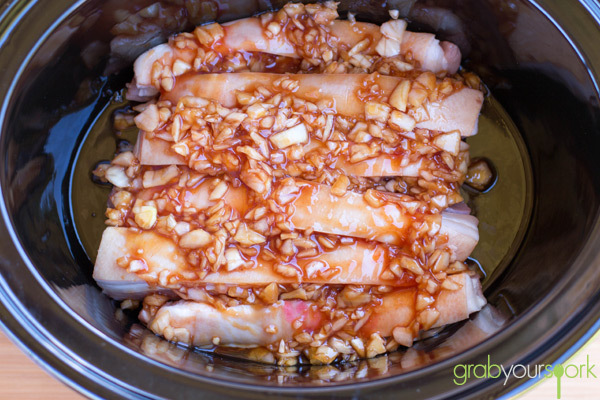 Slow Cooker Asian BBQ Pork Ribs dressed with some fresh spring onion and sesame seeds. Place the ribs in slow cooker with meat side of ribs facing up. Mix all the ingredients together and pour over the ribs making sure ribs are completely covered. Cook on a low heat for 8 hours. Serve with fresh spring onion and sesame seeds.